When it comes to new executive saloons, £10,000 doesn’t buy you much. However, search the used market and all manner of interesting metal suddenly becomes available. 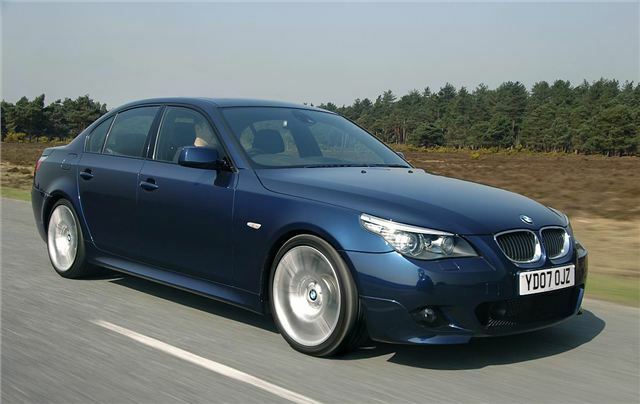 Not everyone fell in love with the styling of the E60 but it certainly cut a dash in the company car park, and even if it doesn’t grow on you there are plenty of other attributes. The sharp handling and great cabin quality make this a lot of very impressive car for the money and you can choose from a wide range of engines, all of which are punchy and refined so it comes down to personal preference and budget. There’s even 47mpg on offer from the 520 diesel but we wouldn’t blame you for being tempted by one of the creamy-smooth V8s. High repair costs mean it’s best to avoiding neglected examples.